Does Cross Fit Help With Your Golf Game? Every year-or-so, we are presented with the latest fad in the fitness world. Currently, Cross Fit is surrounded with a ton of hyperbole and has even signed multi-million dollar deals with Reebok. There also even a Cross Fit World Games – exclusively sponsored by Reebok, too – that has meant the phenomenon has been hogging column inches across online and print publications the world over. But the burning question for many golf fanatics is, can this trending fitness regime help with your golf game? In short, yes it can but you need to monitor the effects it has on your body. The last thing a golfer wants is to build excess muscle that prevents a smooth swing. Just look at the many experts who say that ‘Tiger Woods’ rigorous workouts are detrimental to his overall game.” And although Cross Fit predominantly focuses on cardio, that doesn’t mean you can’t build muscle especially if a person frequently attends classes on top of lifting weights regularly. Cross Fit can help with a golfer’s technique, believe it or not. For example, a common mistake regarding technique for golfers is putting too much weight on their toes when standing over the ball preparing for their shot. This is also a common mistake for Cross Fitters when performing certain exercises. A good golf coach or Cross Fit instructor will tell you to be ‘heavy on the heel’ as it helps with balance. With golf it helps limit the chances of hitting the top of the ball or slicing it horribly. The same can be said about posture, as, all the deadlifts, squats, sit-ups and the other exercises require perfect posture to limit the chances of injury. The same goes for golf, if your posture isn’t correct then the likelihood is you could cause yourself an injury and it could dramatically affect your ability to execute a shot correctly. Cross Fit is also very good at building your core muscles which “will help with your lower back and obliques,” vital for the rotation in a golf swing according to Failed Fran. Cross Fit also helps with endurance and helps you feel stronger, gives you more energy to carry out your daily tasks. And for a golfer, endurance is key especially when 18 holes, quickly turns into 36 or 72. However, we shouldn’t get carried away with the benefits of Cross Fit though as it does have adverse affects too. If a golfer was to engage in Cross Fit near a competition it can fatigue the muscles, and this is certainly not ideal near competitions. The world’s number one at press time, Rory McIlroy, was quite vocal about his desire to get involved in Cross Fit until his then girlfriend warned him off. The interview with The Telegraph revealed how McIlroy was enamored by one of Cross Fit’s leading lights Rich Froning. 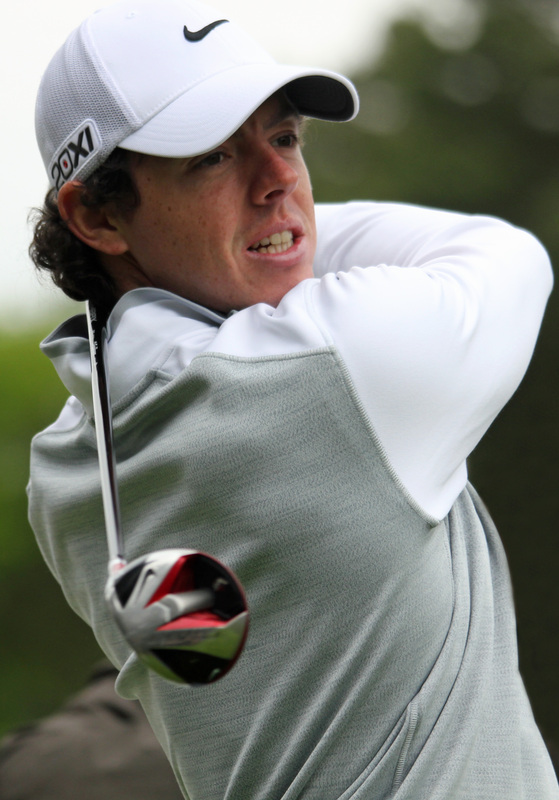 McIlroy, however, is a part of the new breed of golfers – he works out daily with high intensity interval training as a key component to his workouts. And regardless of him shying away from Cross Fit, he is at the elite level of fitness. But that doesn’t stop McIlroy craving the desire to learn new methods of training that are readily available to him today, whether it be from fitness professionals or from insights on the boundless apps that are available for the consumer at the App Store or via Google Play. With more than 17% of the world’s population now actively using mobile Internet as reported by Spin Genie even amateur golfers are now accessing golfing and fitness-related apps to help fine tune their games. McIllroy is an innovative golfer and fitness enthusiast, and his stamina is arguably one of his biggest components that he utilizes over the older generation of players during tournament golf. McIlroy himself regularly enthuses about how keeping physically sharp for years to come will be a huge focus to continue playing at the elite level albeit not through the aid of Cross Fit. The information in “Does Cross Fit Help Your Golf Game? —as with all articles on the GolfNewsMag.com website— are for educational purposes only and is not medical advice. For medical advice, consult your medical practitioner.